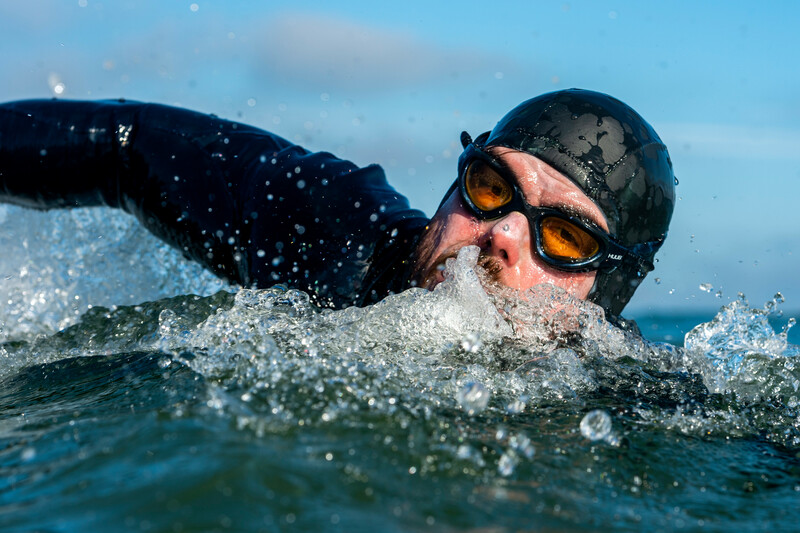 Ross Edgley will complete his epic Great British Swim on Sunday November 4 in Margate, the Kent coastal town where he began his record breaking quest back on June 1. – The British strongman will become the first person to swim around mainland Great Britain in an astonishing 157 days and without stepping foot on land once. – To celebrate his feat, more than 300 swimmers will join Ross for the final one-mile swim into shore in partnership with the Outdoor Swimming Society. – Edgley has overcome several obstacles including a disintegrating tongue and jellyfish stings as well as storms Ali and Callum, while he has been doing exercises to ensure his land legs are prepared too. – The 33-year-old has already created new milestones including the Longest Assisted Contiguous Stage Sea Swim in history by powering past 73 days and becoming the first ever Briton to swim the 900-mile journey from Land’s End to John O’Groats in a record 62 days. 1) How do you feel knowing the Great British Swim is coming to an end? It’s a really weird feeling as it’s all I’ve known now for the past five months. On the one hand, it’s almost pure relief, but on the other, there’s a real sense of sadness because I’ve grown so close to the crew and the experiences I’ve had will stay with me forever. I always say how naïve I was at the start of this whole thing and there was always a sense of, ‘Can it really be done?’, so to now be talking about the finish is pretty surreal. 2) What are you most looking forward to about the finish? There are so many things, but obviously, the chance to be back with my friends and family is top of the list. I guess secondly, it’s you guys! Everyone who has supported me on social media, to those who have come out to see me swim and wish me luck – you have no idea how much the support you’ve given means to me and I can’t wait to see all you at the finish line. Obviously, the final swim to shore should be absolutely amazing. 3) How is your body coping after five months at sea? I get asked this a lot and it probably sounds weird, but I just love getting out there and swimming. There’s a task at hand, but you’ve got to enjoy what you’re doing first and foremost. Yes, there’s aches, pains and salt tongue to contend with, but it’s all about going beyond those perceived mental and physical limits. So a bit painful, yes, but it sort of pales into insignificance when I think about the finish in Margate.